Potenza combines curved glass and stainless steel to create a light and airy environment, which is perfect for any contemporary kitchen. The flowing designs of 30" or 36" widths come with a powerful 400 CFM blower that can support the cooking demands of most kitchens. Backlit push button controls manage multiple functions, including LED lighting and 3 speed blower. 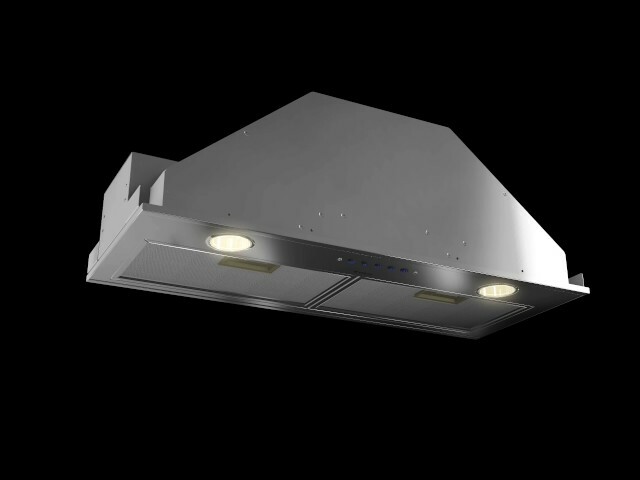 Potenza also features a telescopic chimney for up to 8' 5" ceilings. Designed for standar ducted installation, Potenza can also be installed as a recirculating system using the kit available as an accessory.